As the holidays approach, there’s never been a better time to plan a gin tour of London. 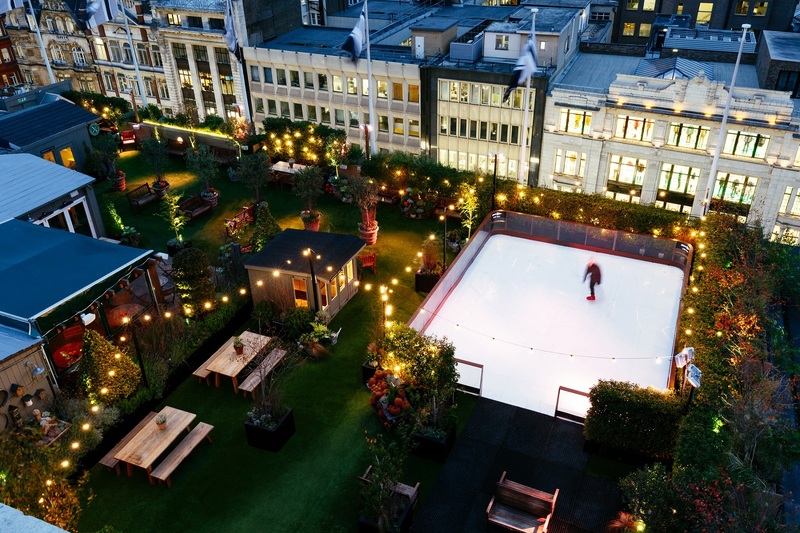 From rooftop skating to igloo sipping, here are 10 festive suggestions. From beautifully decorated shop windows to indulgent treats, it’s difficult to rival a traditional London Christmas. 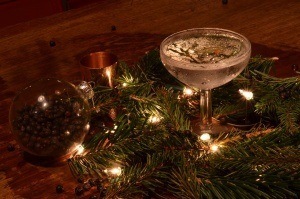 If you plan to spend a festive and decadent day out on the town, these 10 gin experiences are certainly worth adding to your list. 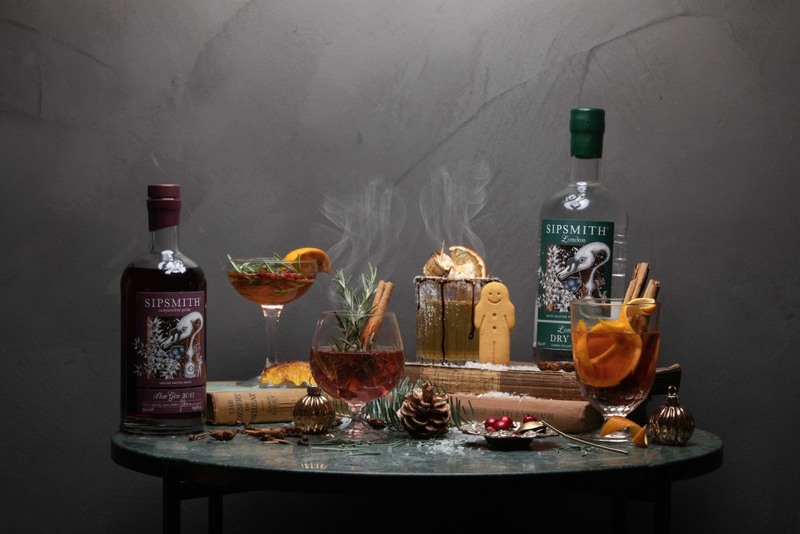 Book a skating session, enjoy toasty gin cocktails, and even pop down to our limited-edition Sipsmith Gin Shop. May your days be ginful and bright! 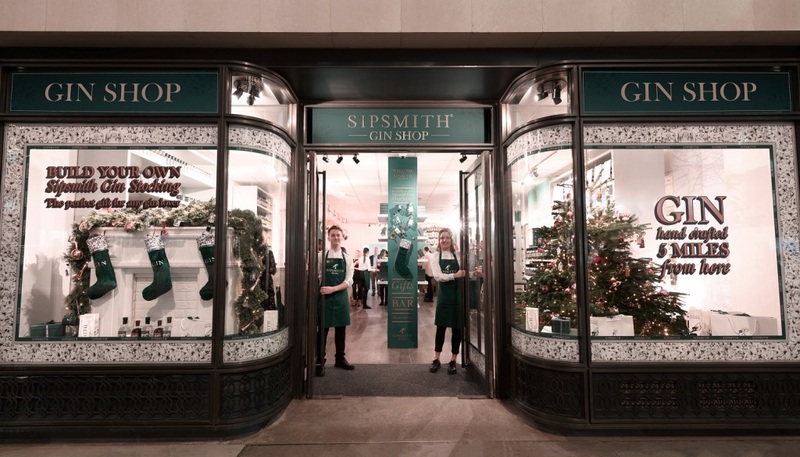 Dedicated exclusively to gin lovers, the Sipsmith Gin Shop is open at 192 Piccadilly until Christmas Eve. Put it right on the top of your wish list: as our festive, central London outpost, it’s the perfect place to begin a ginful day out on the town. Pop along to browse the gifts at hand, sign up for a masterclass, enjoy a hot gin serve, and much more. Skyline Skating with Sipsmith offers hot serves, rooftop skating, cosy snugs, and more. Need a break from the crowds of Christmas shoppers on Oxford Street? Ascend to John Lewis’s elegant rooftop for a winter wonderland immersion. At our seasonal Skyline Skating event, you can indulge in a spot of rooftop skating, snuggle down in a cabin with a Christmas gin cocktail in hand, and sate your appetite courtesy of MyPie, who will be serving up Scotch eggs, sausages rolls, and hearty pies. No ginny day out in London is complete without a distillery visit—and luckily, we host regular tours of our West London HQ throughout the year. Book in a weeknight visit and pick from three different tour styles. 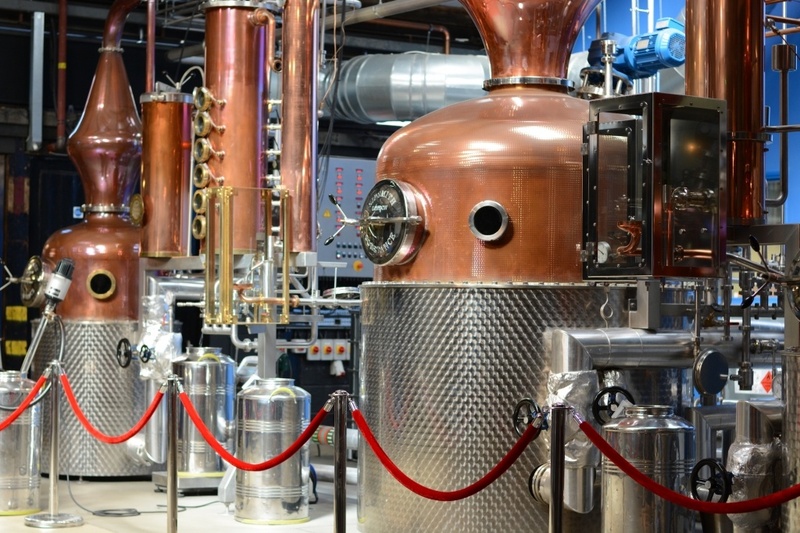 You can look forward to seeing our gleaming copper stills, can learn about the history of gin in London, and enjoy tutored tastings, a gin dinner, or a cocktail masterclass that will introduce you to the bartending basics. Looking for an atmospheric place to toast to your London adventures? 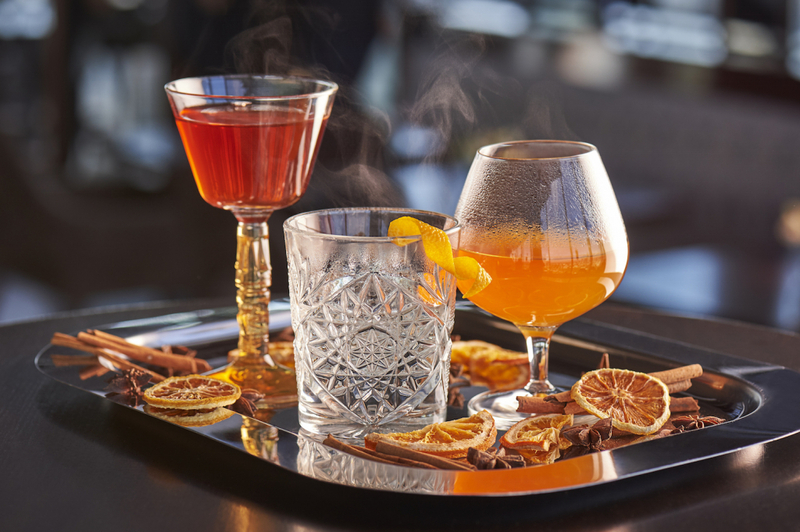 Venture to Bokan in Canary Wharf for a memorable sipping spot. The sky-high bar and restaurant includes enviable views, a festive ambiance, and numerous hot gin cocktails on the menu. Pair thrilling London cityscape views with Sipsmith cocktails when you venture to Aqua Shard: one of our favourite gin experiences of the season. Our Hot Mulled Sloe Gin will help warm you from the inside out as you admire the twinkling city lights (or even, if you’re lucky, a bit of seasonal snowfall). For a more down-to-Earth experience—quite literally—head to Aqua Kyoto or Aqua Nueva to sip seasonal serves like the Sloe-ly Does It. 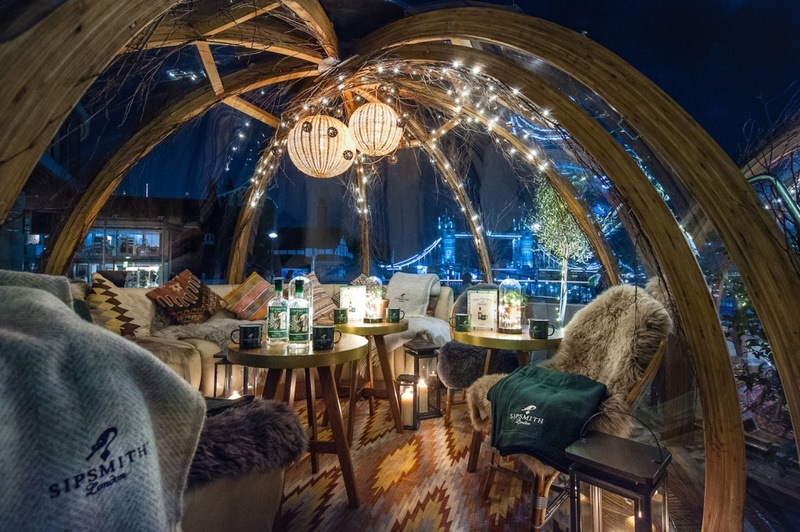 Take in views of the Shard and Tower Bridge illuminated at night, enjoy the riverside ambiance, and sip a Sipsmith serve—all from the comfort of your own cosy igloo at Coppa Club. Each glassed-in snug comes equipped with wooly blankets and flickering candles, as well as a menu of both hot and chilled gin cocktails. 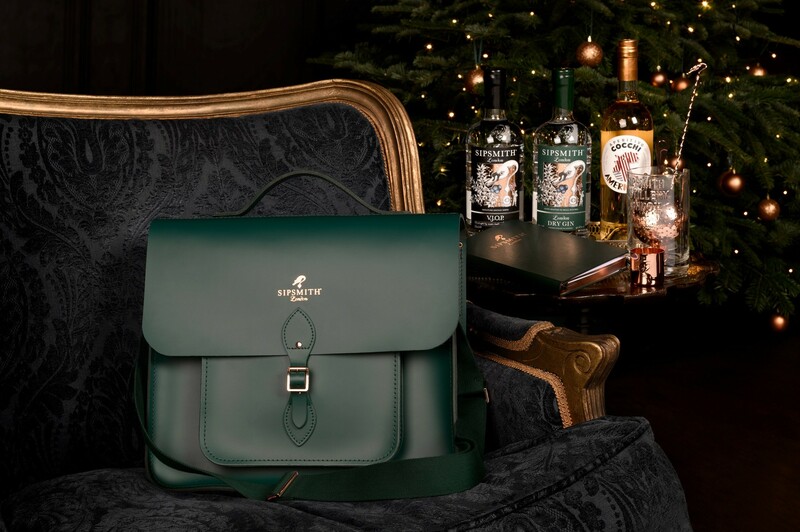 Head to the Cambridge Satchel Company's James Street shop to pick up our special cocktail satchel. Whether shopping for friends and family or looking for a way to treat yourself, a Cambridge Satchel Company bag stuffed with ginful gifts is bound to make an impression. 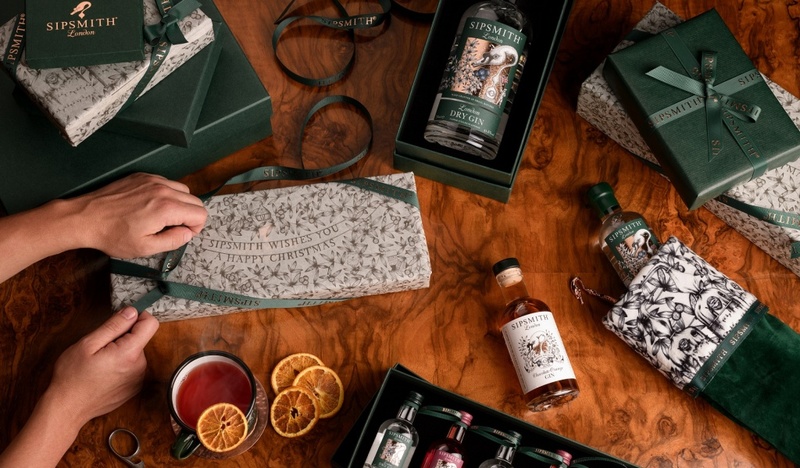 Pop into the shop on James Street to pick up a Sipsmith Cocktail Satchel, in which you’ll find a portable cocktail-making kit consisting of gin, barware, and more. 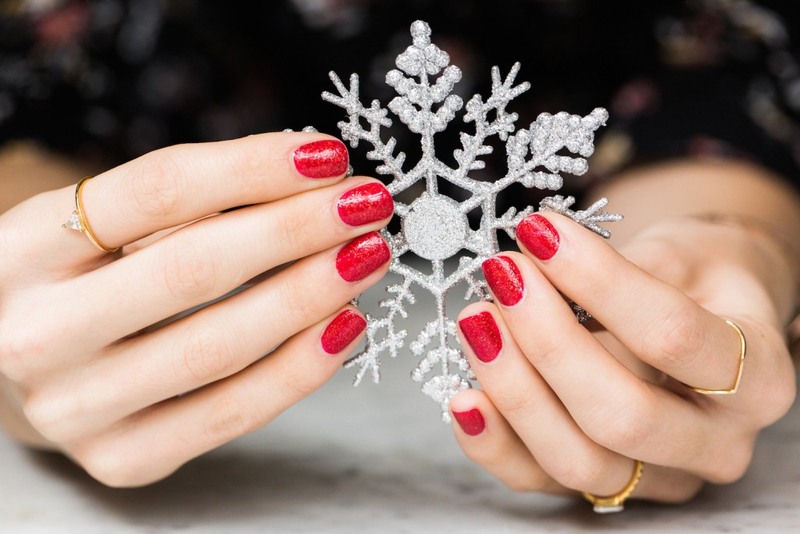 Christmas is the perfect time to indulge in proper pampering—and sipping a gin cocktail as you get your nails done certainly qualifies. In time for the festive season, London Grace—a premium nail salon with eight locations across the city—will be serving up special ginny tipples until the end of December. Pick your preferred shade, select your serve of choice, and get ready to sip in style. Even in winter, relaxing en plein air can be enjoyable—you just need a warming cocktail to hold in your mittens. 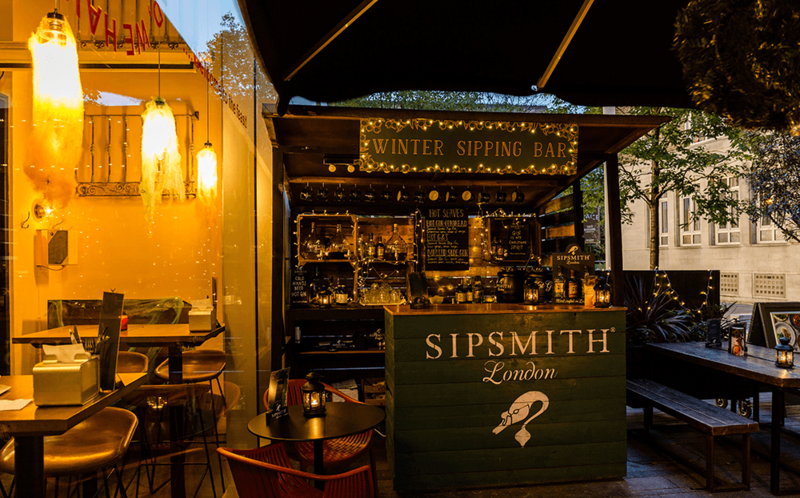 That’s where Camino Bankside’s new Sipsmith Winter Sipping Bar comes in. Lit by strands of fairy lights and featuring several of our hot gin cocktails—including Mulled Sloe Gin and our Hot Gin-Gerbread—it provides the perfect dose of winter cosiness.